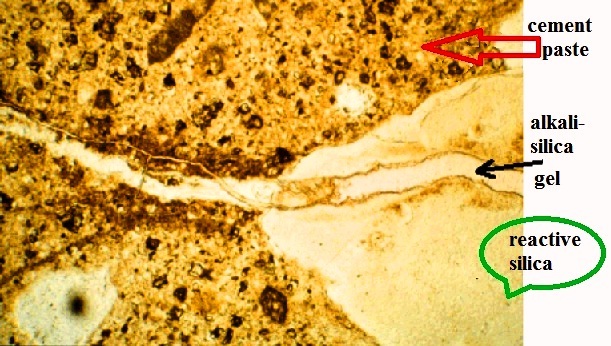 How can Alkali-Aggregate Reaction of Concrete be Controlled with Admixtures? 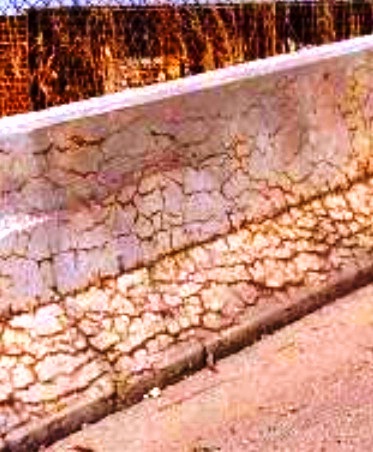 Dear reader we have discussed about concrete cracking due to alkali-aggregate reaction. The product of this reaction is alkali-silica gel which is formed at location of reactive silica and takes its place in weak planes and surfaces of aggregate particles. The consequence of this is destroying bonds between aggregate particles and hydrated paste around them. It is observed in laboratory that 1% inclusion of lithium salts results significant reduction of expansion. The same result is also found with inclusion of (2-7) % of some barium salts. Now, have there a molar ratio that nullifies alkali-silica reaction? Yes, there have a particular molar ratio that can totally suppress expansion due to such reaction. It was reported (Stark, Ong 1993) that when molar ratio reaches 0.67 the expansion is totally suppressed. 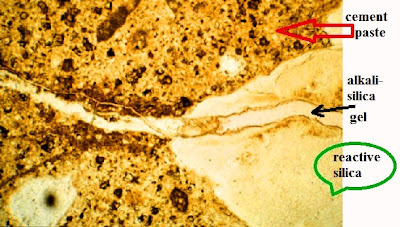 Inclusion 1% lithium salts and slight higher concentration of barium salts in concrete results significant reduction of expansion due to alkali-aggregate reaction. What is Flowing Concrete? How to Make It Flow? How is Concrete Exposed to Chlorides?